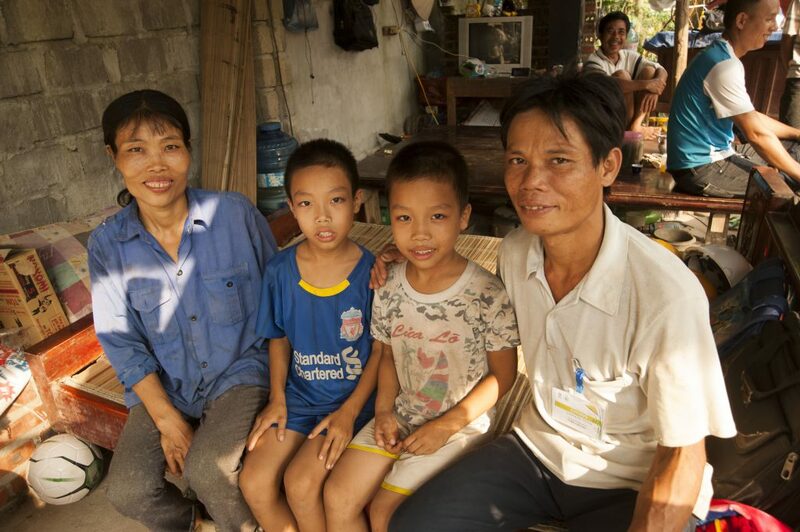 The Vietnam Big Build 2016 achieved its goal of 20 houses built for vulnerable families in Tam Nong district, Phu Tho province. The event kicked off with a welcome dinner at the glorious King Hung’s Temple on 2th October attended by about 250 people including the local government partners, Habitat For Humanity (HFH) staff and 210 international volunteers who flew to Vietnam from New Zealand, Australia, Japan, the US, Singapore and Hong Kong (China). Kelly Koch, HFH Vietnam’s country director; Tran Phu Tieu, Member of Party Bureau of Phu Tho province; Do Ngoc Dung, Chairman of the Foreign Affairs Department of Phu Tho province; Susan Sutton, Deputy Chief of Mission from the US Embassy in Vietnam; Gaurav Sharma, CEO of BIDV MetLife Life Insurance representing MetLife Foundation and Rick Hathaway, Vice President, Asia-Pacific formally welcomed the volunteers with speeches and greetings on stage amid traditional dance and beautiful performances from the Department of Culture, Sports and Tourism of Phu Tho province. 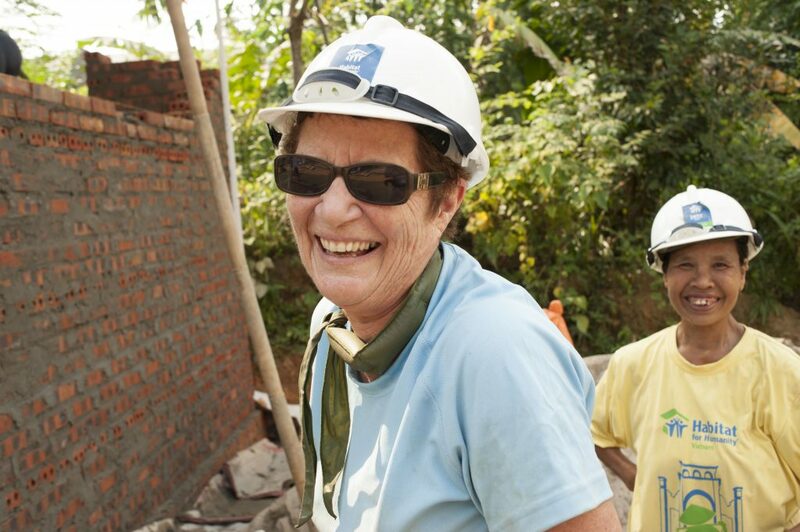 The international volunteer teams for the HFH Vietnam Big Build 2016 came from all walks of life and corners of the world, consisting of grand-mothers, students, professionals, retirees, war veterans, a honey moon couple and life-long volunteers. 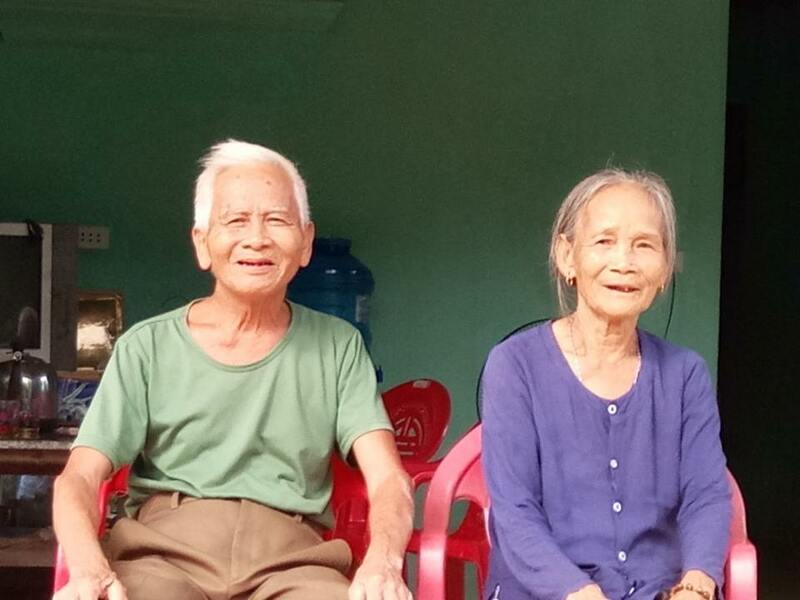 They worked relentlessly alongside the future homeowners to help HFH Vietnam reach its goal of building 20 houses in less than a week! “I feel peaceful and excited building here and helping people. The war was bad but now we, who were then enemies, become friends,” says Tom Chap. 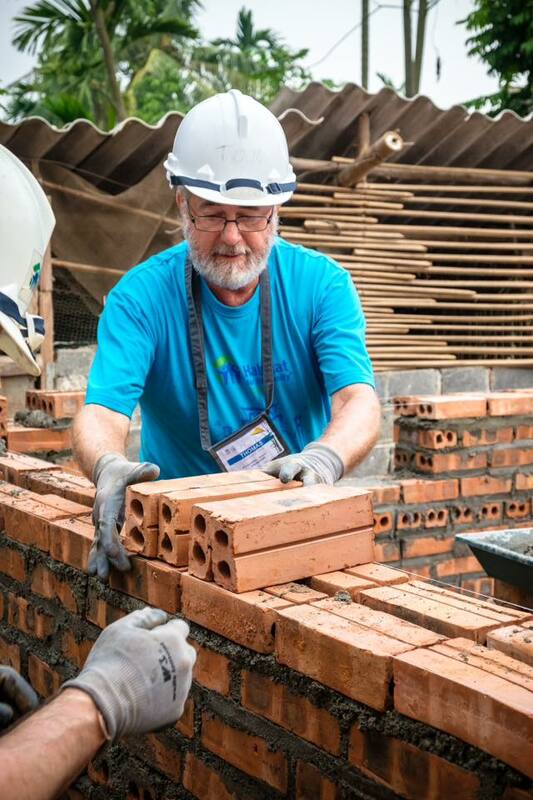 Tom, a Vietnam Big Build volunteer, was a soldier in the 1970s in Central Vietnam and joined a previous Veterans build in Quang Nam province, Vietnam in September. Build activities came to a close on Friday, October 7th after an emotional and intimate house dedication ceremony held by the individual teams at their respective homes and a closing ceremony at the Huong Nha commune base site. 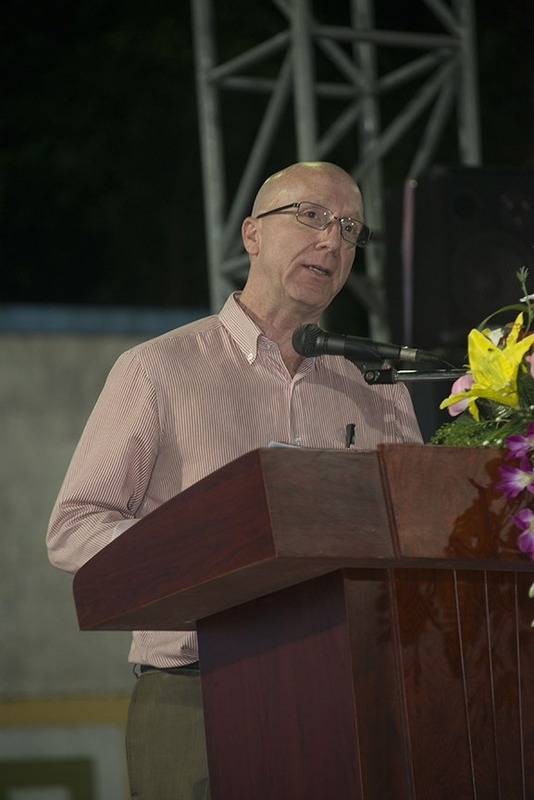 Among the event highlights were the rejoicing congratulations of Haike Manning, the New Zealand Ambassador in Vietnam, speeches by government partners and a spirited song by a US volunteer team. “I’m so glad we’ve succeeded in all the activities that we planned. It has been a joint effort of many stakeholders from home-partners and the local government partners to the volunteers, donors and Habitat for Humanity Vietnam staff. Now look at our fruitful result! 20 beautiful houses, a decent place for 20 families to live and thrive! 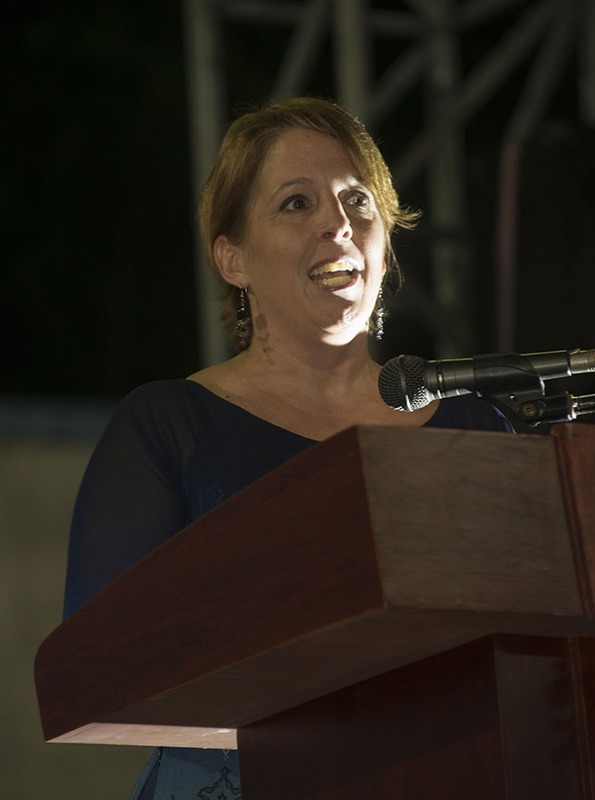 This is a great demonstration of Habitat’s mission in bringing people together to build strength, stability and self-reliance”, said Kelly Koch. Luong Van Chung, now a proud homeowner, took the stage to deliver a heartfelt and moving speech. 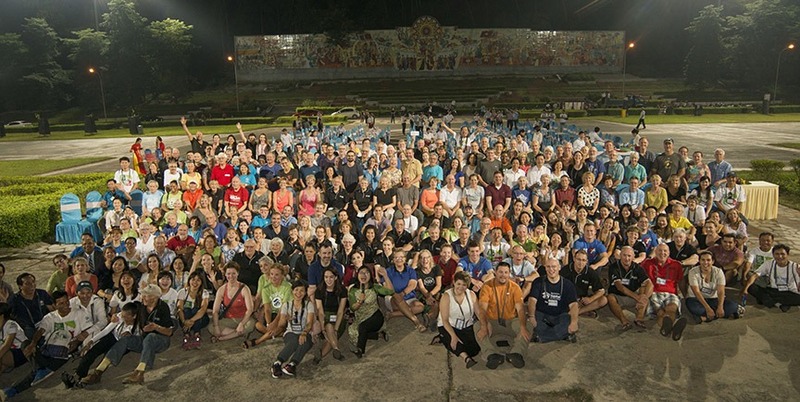 He once again thanked the volunteers, HFH Vietnam and local authorities. He promised to reciprocate the kindness shown to him and his family by providing a loving and nurturing environment to his children and by making sure they take full advantage of the opportunity received. 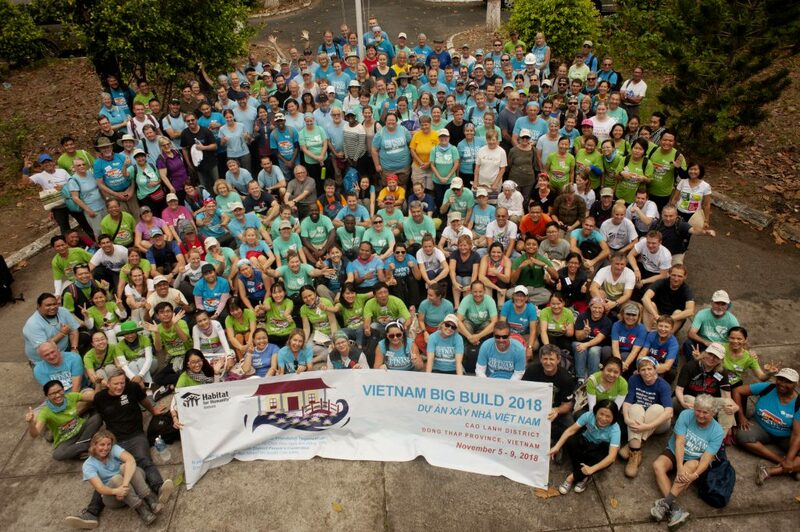 The Vietnam Big Build 2016 was carried out in partnership with the People’s Committee of Phu Tho province, Tam Nong district and Xuan Quang and Huong Nha communes and thanks to the generous sponsorship of Thrivent Builds Worldwide, Metlife Foundation and the greater Habitat for Humanity family. We not only build homes, we build friendship and love. Hurrah! In the end I got a website from where I be able to really obtain valuable information concerning my study and knowledge. Hello very cool website!! Guy .. Beautiful .. Amazing .. I’ll bookmark your site and take the feeds also? I actually enjoyed the standard info an individual provide in your visitors?